OnePlus’ new flagship 6T has officially made its way to the Nepali market through Daraz’s 11.11 Sale. Not to over-exaggerate things but the handset is now available at an unbelievable price right now. Let’s see what the fuss is all about. Not much has changed in terms of the design on the 6T over the OnePlus 6. 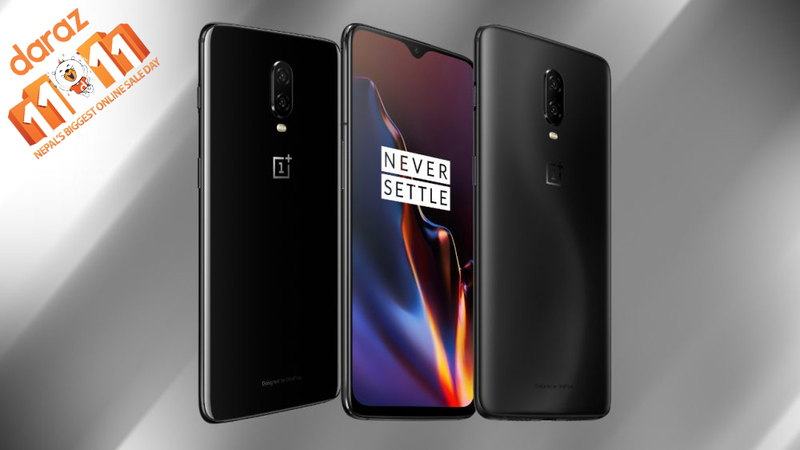 The OnePlus 6T offers the same glass sandwich design as the OnePlus 6 which is held together by an aluminum chassis. The OnePlus 6T has a glass back (but still doesn’t support wireless charging), which just like its predecessor houses the same 16MP+12MP (OIS+EIS), f/1.8 dual camera setup. The only change you’ll is that there’s no fingerprint scanner on the back. The front is where the change can be seen. 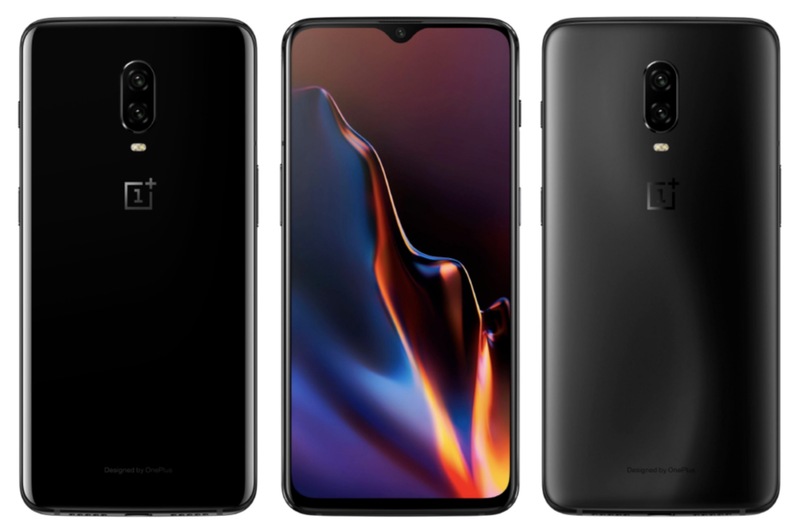 The most noticeable is the notch, the OnePlus 6T now has a teardrop notch that houses a 16MP, f/2.0 camera. This notch design is as less obstructive as it can get and it bumps the screen to body ratio to 85.6%. The display size is now a 6.41-inch and the resolution is 2340 x 1080 pixel which results in an aspect ratio of 19.5:9. It is an AMOLED panel with support for five different color calibration modes which increase the color accuracy. 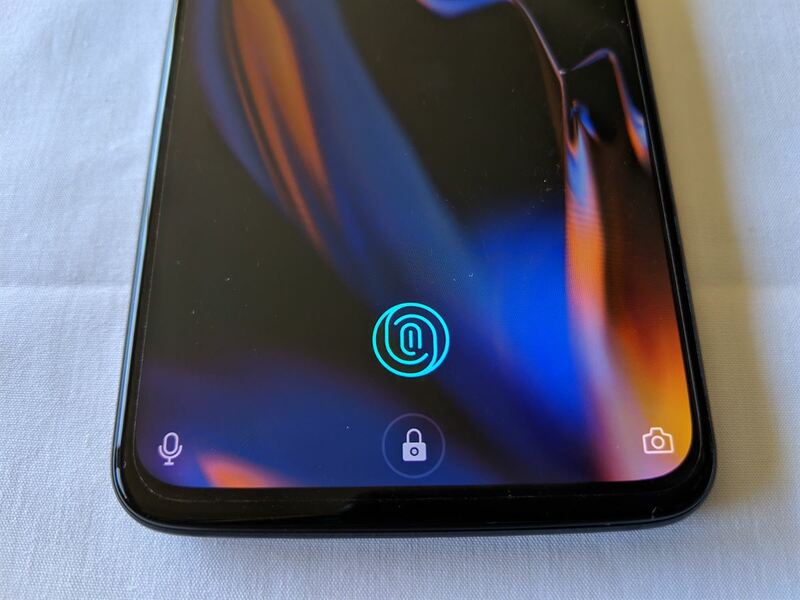 But that’s not the only changes it offers, the 6T now has an in-display fingerprint scanner which can unlock the device in 0.34 seconds. The bottom bezel or the chin have been cut-off a bit which makes this display immersive. Internally, the OnePlus 6T is a true beast. It is powered by the Snapdragon 845 SoC which is coupled with Adreno 630 GPU to handle graphics duties. The Snapdragon 845 has been around for a while now and we’ve seen a lot of devices with this chip but OnePlus claims that the performance is 20% better on the 6T over other devices rocking the same chip. The in-display scanner has a read speed of 0.34 second. OnePlus is not only about hardware, but it’s the fine tuning between the hardware and software that Oxygen OS on the OnePlus brings. And the 6T is no different here. The OnePlus 6T runs on Oxygen OS on top of the latest Android 9.0 Pie. Oxygen OS has been finetuned and now include hundreds of nifty little software tweaks that include enhancing the overall user experience including a couple of different camera features including studio lighting and night lapse mode that takes the shutter speed down to 2 seconds to capture an image. This improves the low light photography on the 6T and soon an OTA will bring along this camera mode to the OnePlus 6 as well. Props to OnePlus for that. Talking about the battery, it now sees a bump from 3,300 mAh on the OnePlus 6 versus 3,700 mAh on the 6T. Which means better screen on time. For juicing up the battery, Dash Charge is still supported. The only bummer here is that the phone now misses out the 3.5mm headphone jack to make a room for an in-display fingerprint scanner. The OnePlus 6T is now available for booking through Daraz 11.11 Sale at a price of NRs. 69,999, with the normal pricing after the sale being NRs. 75,999 for 6GB+128GB variant. So grab it today from Daraz and make the most out of this deal. Display: 6.41-inch Optic AMOLED, 2340×1080 pixel resolution, 402ppi, 19.5:9; sRGB/DCI-P3 color space support. Rear cameras: First camera: 16MP, Sony IMX519 sensor, 1.12µm pixel size, f/1.7 aperture, phase detection autofocus, OIS, gyro-EIS; dual-LED flash. Secondary camera: 20MP, Sony IMX376K sensor, 1.0µm pixel size, f/1.7 aperture. Battery: 3,700mAh Li-Po battery; Dash Charge. Price in Nepal: Rs. 75,999 for 6/128GB variant.